Owner Emely Donegan says there’s more to a sandwich than ham and cheese – and they’re not just for lunchtime. 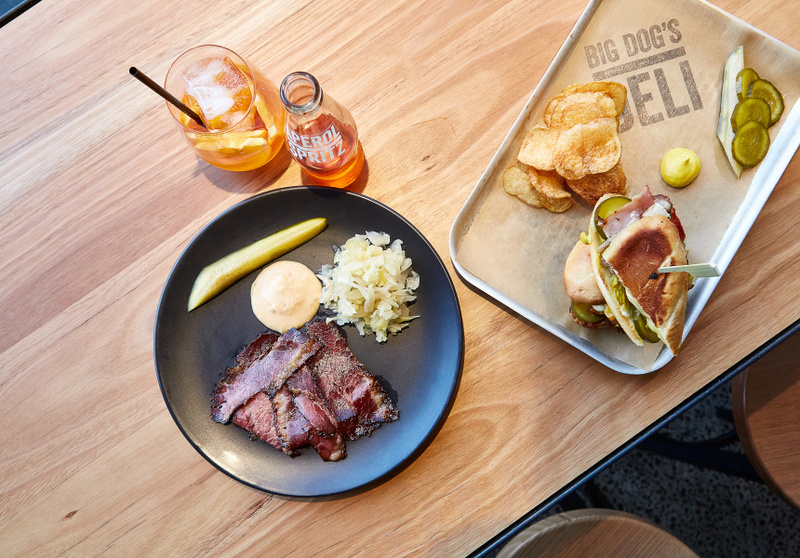 At Big Dog’s Deli, you can have one as a meal, with a beer on the side – just like you would a burger. 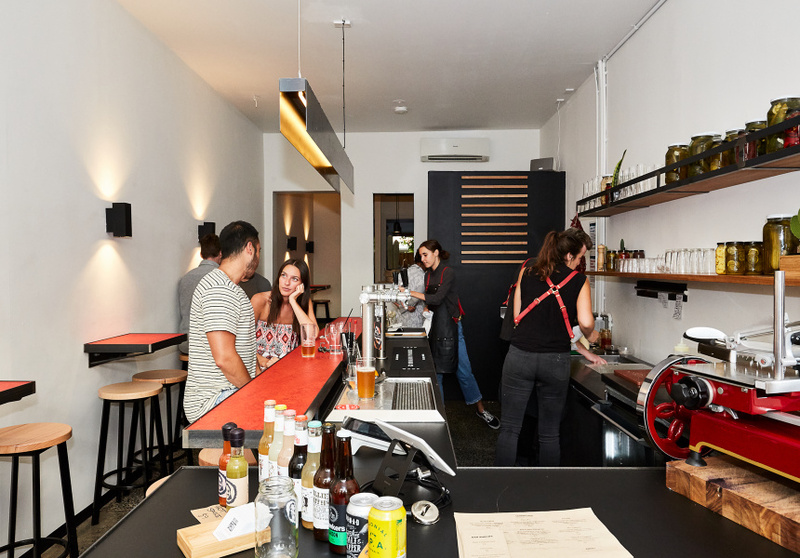 The sandwich shop and bar opened on Lennox Street in early December 2016, styled on its American counterparts – rolls, subs and sliced bread, wrapped around high-quality, considered fillings. Everything – except the bread – is made in-house. The idea came from Donegan’s time spent travelling, working and cooking in America (particularly Los Angeles and Portland), and is named after her brother – “the big dog” – with whom she developed the concept. There’s nine sandwiches on Donegan’s menu, and the fillings will change. The lineup has included the J-Fo, with veal and pork meatballs with sugo, smoked scamorza, pecorino and basil on a toasted sub; and the Captain: house-smoked pastrami, kraut, Swiss and Russian dressing on toasted rye. For sides, there’s house-made crisps, a pickled pumpkin salad or herbed slaw. Ice-cream sandwiches are available for dessert. Like many sandwich shops in America, Big Dog’s Deli is also a bar. 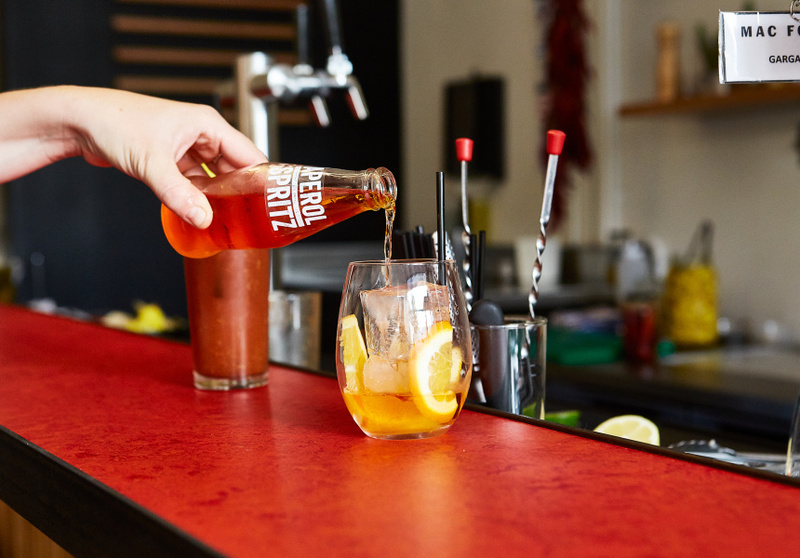 The drinks list includes a couple of bottled cocktails – Aperol Spritz and a Boulevardier – and a “Bloody Maria”, made with spiced tomato juice, tequila, sherry and house pickles. There are draught beers (rotating after every keg), but the can and bottle choice is bigger. There are also two wines on tap – a red (pinot noir) and a white (garganega), both by Mac Forbes. At night, when the bar vibe kicks in, the sandwiches are available in their deconstructed forms – plates of meat and pickles with hot sauce for dipping. There’s also a big courtyard out the back, sheltered by a giant elm tree. Donegan also plans to install a back entrance so people can bring their dogs.